There is a lot of insecurity before and after choosing DNB in Pediatrics in minds of PG aspirants. It was a great pleasure writing for Dr Jatin, a budding psychiatrist and founder of free association.in on this issue. The post is specially meant for those who want to choose DNB Pediatrics as a carrier. There is always a comparison between MD's and DNB's and how one is superior over other. Its all inside the mind forced by few elements in society which compel our brains for this comparison followed by the insecurity stuff which goes on for years together giving rise to conflicts and series of failures. There is lot of dilemma and questions about the ideal institution where you should seek your education, the quality of education National Board of Examination provides, the pattern of examination, the results and future as a pediatrician (off course which is the ultimate goal). The Bubble of insecurity produced by ourselves and the society of doctors (more by ourselves) is now huge enough to get self destructed. The post is all about the big picture, what i can see through my point of views over last few years. DNB in Pediatrics has come up as a great branch, introduction of newer and valid exam methods like OSCE are introduced first in this branch. CME's and teaching programmes condcuted for Pediatrics are way ahead other branches in DNB. Recently IAP action plan 2014 started live case presentation sessions for Pediatric post graduates! Here is the link for webcast. The post is all about breaking the top three myths of DNB in Pediatrics, feel secure and proud, choose wisely amongst the option, organise our studies for sure success and contribute to society as better pediatrician and help others learn pediatrics. 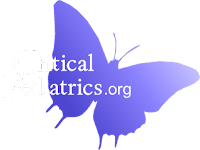 Here is the link for the post DNB in Pediatrics: Breaking the bubble of insecurity. on Jatins website. Bye for now and Happy Studying !